Mumbai’s Chowpatti is as famous world over as its film industry. The flavours of street food in the commercial capital of India are also as varied as the cinema churned out by Bollywood. Café 17, the 24 hour eatery at Taj Chandigarh, brings some of these flavours to City Beautiful from the 9th to 18th of September between 7:30 pm to 11:30 pm. The Mumbai Street food festival at Café 17 creates an interesting ambience with live stalls being used as the service module. 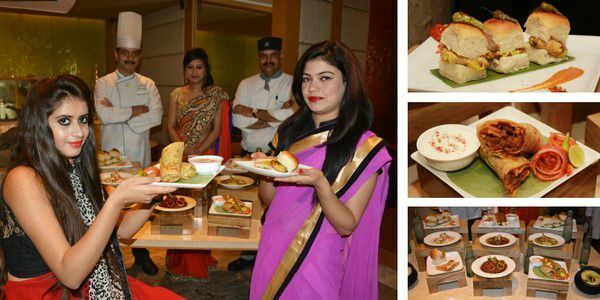 Over and above the regular dinner buffet, there will be live stations serving delicious chaat items like paani puri, dahi puri and bhel puri. The famous ragdapattice and Sardarkapavbhaji is also going to find a place of prominence in this food festival. 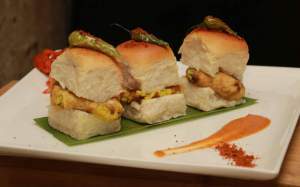 Specialties like Bombay sandwich from Amar juice centre, Bade miyan ka baida roti roll, and Olympian style keema kaleyji with mini pav can also be relished as the Mumbai Street food festival. Live stations are also being set up to serve Shri Krishna walay vaday pao and the very famous goti soda of Mumbai. Paneer kathi roll and Noor Mohamadi kee Nalli Nihari Aur Yakhni Pulao are being brought to the table too. Those with a sweet tooth will get to enjoy the very famous Parsi dairy peda and shrikhand, along with the other desserts that Chef churns out for the buffet. While there is no denying that Taj Chandigarh is known for its unique and highly interesting food festivals, this one does come up very high on the charts. Mr. Surinder Singh, General Manager Taj Chandigarh wins it again by not only perfectly timing the festival during the monsoons, when the cravings for such foods are high, but also ensuring that hygiene and taste both are not compromised. Chef Sitaram Petwal has been invited all the way from Mumbai Taj Land’s End to preside over the festival. With over 15 years of experience in developing street food, Chef Petwal is very well known amongst the celebrities of Mumbai. Chef Sumant, from Taj Chandigarh is also excited about the festival and says that while he does enjoy creating exotic dishes, this food festival has him excited especially because of the very ‘UN-fivestarlike’ dishes that he gets to create. 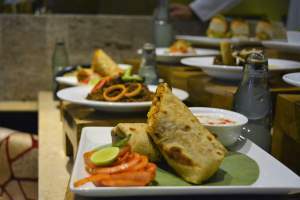 This is going to be one fun event at the hotel and those who enjoy street food will be happy to find Mumbai streets in the lap of Taj Chandigarh luxury. Do visit Hotel Taj between 9th to 18th September, 2016 and ask for their “Mumbai Street Food Festival” at Cafe 17.